Resurgent ISIS is gaining a foothold in Iraq, Egypt and Southeast Asia, and putting Israel on hold for now. 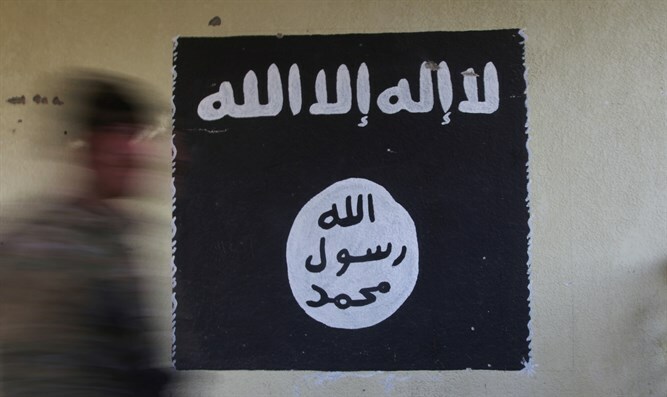 On April 22, for the first time in six months, the Islamic State group issued an official statement detailing the next stage of the organization’s global jihad. ISIS spokesman Abu Hassan al-Muhajir said that Jihad is the only way forward and vowed to battle apostate governments in the Middle East. This includes the Hamas government in Gaza and the Palestinian Authority, according to al-Muhajir. Other ‘takfiri’ governments listed by the ISIS spokesman were the Saudi government, the government of President el-Sisi in Egypt, the Assad regime and its allies in Syria, the Islamic Republic of Iran’s Supreme Leader Ali Khamenei, the Taliban in Afghanistan and the Iraqi government of prime minister Haider al-Abadi. Al-Muhajir called the Saudi King Salman “taghut”, an apostate tyrant, and his son Mohammed, the de-facto ruler of the Kingdom, "an idiot," while he accused the Taliban and Hamas of collaboration with the “crusader allies,” meaning Israel and the West. In his 49-minutes audio message, al-Muhajir said ISIS has entered “a new phase and seeks to inherit what’s left behind by the United States”. He claimed the Islamic State “mujahedeen” had “exhausted” the U.S. army, an apparent reference to President Trump’s repeated vow to bring the U.S. special forces in Syria home. The ISIS spokesman spoke at length about the need to focus on the Middle East now and indicated that the group’s post-caliphate insurgency will first focus on overthrowing the Iraqi government. Al-Muhajir called for attacks against “every pillar” of the Iraqi government and said ISIS members should kill everyone affiliated with the Shiite dominated government in Baghdad. On March 29, ISIS newsletter al-Naba ran an oversight article detailing operations in Iraq where the barbaric Jihadist group’s new insurgency is gaining steam. Al-Naba described numerous raids in the oil-rich Kirkuk area in northern Iraq which was previously part of the autonomous Kurdish Regional Government in the warn-torn country. The focus of ISIS operations in northern Iraq is first and foremost on the Hash al-Shaabi, the Iranian-backed umbrella organization of predominantly Shiite militias which became an integral part of the Iraqi army at the end of 2016. The Jihadist group operates from bases in the Jalam Desert and the Hamrin Mountains in north eastern Iraq a situation which is a cause for real concern, the Pentagon reported on March 27. Colonel Ryan Dillan, the spokesman for the U.S.-led anti-ISIS coalition in Iraq and Syria said this week that ISIS has established a new off-shoot in Iraq under the name “The White Banner” or the “White Flags”. “Whether they or not they call themselves by a different name, they still have ISIS elements and they are still targets for the coalition and for the Iraqi security forces,” Dillon told reporters on Tuesday. Efforts to eliminate this new threat have failed up to now, however. Experts blame the Iraqi government for the rise of the new ISIS affiliate because it never addressed the grievances of the large Sunni population in Iraq. The White Banner is led by former Al Qaeda and ISIS commander Hiwa Chor who was against establishing a new caliphate at this point in time. The White Banner has already begun a campaign of kidnappings and road terror similar to what Islamic State used to do before it embarked on offensives to ‘liberate’ parts of Syria and Iraq. The Jihadists also target candidates who participate in the election campaign in Iraq and justify these attacks by calling Iraq a “polytheistic democracy”. On Tuesday, ISIS killed six fighters of the Hash al-Shaabi militia near Kirkuk, while Iraqi forces eliminated six ISIS terrorists in an operation near the town of al-Dibs in northern Iraq. ISIS terrorists also detonated a bomb in Kirkuk’s Tiseini neighborhood, while others attacked Iraqi forces near the town of Gulale. The Iraqi government, meanwhile, expanded its anti-ISIS operations to eastern Syria where ISIS bases were attacked in the area of Deir ez-Zur by the Iraqi air force earlier this week. PM al-Abadi later vowed Iraq would continue to launch airstrikes on Islamic State positions in Syria and “would even go further than that” in order to annihilate the threat the organization poses to his country. He didn’t elaborate. ISIS is trying to get a foothold in the border town al-Bukamal on the Syrian Iraqi border once again, and calls the area Waliyat al-Furat (Euphrates Province). Elsewhere in the Middle East and beyond, ISIS has begun executing its new post-caliphate insurgency, as became apparent from various news reports this week. In Egypt, the army is still struggling to achieve victory over ISIS branch Wilayat Sinai despite killing scores of ISIS terrorists over the past three months. President el-Sisi last week extended the state of emergency in Egypt for another three months, but ISIS nevertheless expanded its operations to other parts of Egypt. In Afghanistan, ISIS branch Wilayat Korosan attacked a Shiite neighborhood of the capital Kabul last Sunday, killing at least 57 people and wounding 119 others. As in Iraq, the local ISIS branch is trying to disrupt democratic elections which are scheduled for October. Wilayat Korosan has also obtained artillery, and trains its members in using surface-to-air missiles. Then there are the Philippines where Islamic State affiliates are roaring their ugly heads again after suffering defeat in Marawi City last year. Unnamed intelligence sources told Benar News in the Philippines there are now 23 ISIS branches operating in the country. “They are now aggressively reorganizing, recruiting and retraining to re-establish their desire to have a foothold in Southeast Asian region,” according to the source. What about Israel? you might ask. Al-Muhajir mentioned the Jewish state during his audio address. He said ISIS would evict the Jews “in time” but only after his organization abolishes the current borders in the Middle East. Islamic State believes Muslims must first return to the roots of Islam, meaning their interpretation of the Quran and the Haddith, before the battle for the liberation of al-Quds (Jerusalem) can begin.